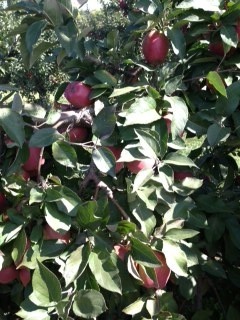 This past weekend I was able to finally do one of my favorite end of summer activies- apple picking! Galas? Honeycrips? Oh my! When I was a kid, my mom would end up with way too many apples in the house by the end of the season and I would be spoiled with some of the best pies and treats ever! While yes, gluten free pies are not only possible but pretty yummy too, there are plenty of other gluten free options out there as well! This week I’m going to try to provide some recipes for you to try at home. The best part is that they are all very kid friendly- so get your little helpers out and get started! Bake for 90 minutes, then flip them and bake for an additional 60 minutes. Remove chips and allow to cool completely. You can store them in an airtight container for 5-7 days. Prepare the same way as the above recipe but sprinkle slices with cinnamon sugar (1tsp cinnamon with 1 tsp sugar). It doesn’t add too many calories but definitely ups the wow factor of these chips!